Scott Montgomery is a well recognized in the Mecca of Poker, Las Vegas, as a terrific poker talent, having sharp skills, with a bit lazy attitude. Do not judge him by his attitude as his eyes speak a lot about his sharp brain and skills in the game. In 2008 November Nine tournament, he stood the third and at that time, he was just a young Canadian. Soon, he proved his class through some master moves and winning saga. After doing well in 2008 WSOP, he had four more cashes. The biggest of them is definitely being 5th in the main event, winning money of over 3 million USD. In another WSOP cashes, we earned $18,771 at the $1500 NL Hold’em event. 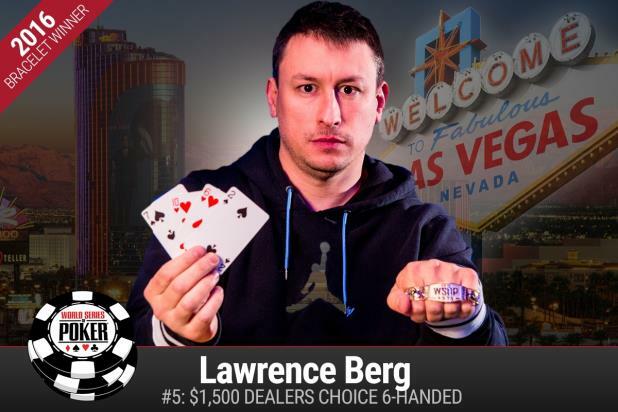 Also he managed to clinch two more earning opportunity from WSOP, and they are: $36,025 in the $5,000 NL Hold’em and $18,771 at the $1500 NL Hold’em. Through a sneaky run, he managed to clinch his spots and grab the money from the game. Being a student of Mathematics and a teacher by profession, it will be sheer mistake to doubt on his skills. However, the man is well backed by lucks too. But, as we all know – luck favors the braves, and he is always brave and confident at the table. He started his career though online poker, from Japan, where he was an English teacher in a local college. Soon, he realized that he has some potential to become one of the greatest of the game. So, he came down to the Mecca of Poker, i.e. Las Vegas and started trying his luck in the game. He is not like the other mainstream players, as he brings his own cash to the table, not backed with the cash from the sponsors. He was awarded with Ultimate Bet badges for the L.A. Poker Classic recently. Scott Montgomery is based from Ontario, Canada and he is a true devoted poker player. In the year 2008, he was the young Canadian player in the World Series of Poker (WSOP) Final Table. Like a lot other poker players, Montgomery too started playing online money games and got $ 1 hands at Ultimate Bet. In WSOP of 2008, Montgomery managed to get himself 4 cashes and came 5th in that Main Event. Scott Montgomery even achieved $ 18,833 at the $ 2,000 NL Hold’em, $ 18,771 at the $ 1500 NL Hold’em event and $ 36, 096 at the NL Hold’em Heads Up Championship. Scott Montgomery had been playing online since the year 2006, but he became a professional in this field when he took the 5th place in his first big live tournament in L.A. Before the main event, Scott Montgomery’s total live earnings were $ 406,585, where he already achieved $ 9000,000 and in addition to that what he won at final table. As of the year 2010, Montgomery’s total live poker tournament winning go beyond $ 4,000,000 and he drew 14 cashes at the WSOP account for $ 3,712,688 of those winnings. Unlike the other poker players, Scott Montgomery came with his own cash and unlike his opponents from final table; he appeared with sponsorship deals experience. Scott Montgomery also had Ultimate Bet badges for the L.A. Poker Classic and he achieved two World Poker Tour (WPT) cashes. Most of Montgomery’s big winnings are tied with the long-term investments. Scott Montgomery did not have any plans of obtaining special training or mentoring but he expressed his interest in accepting suggestions. He said that, if anyone advices him willingly, he would not turn them down for sure. He is open to any constructive suggestion, which will help his career positively. Scott Montgomery is a poker player that hails from Ontario, Canada. In 2010 he won his first bracelet at the World Series of Poker. Two years before, he was one of the final table players finishing fifth at the WSOP Main Event. He has also has two World Poker Tour appearances.